MINNEAPOLIS (Nov. 30, 2017) – Padilla announced today that Mike Garrison has joined the agency as vice president of Insights and Strategy. He will work closely with SMS Research Advisors, Padilla’s in-house market research and consulting firm. Together, Garrison and the SMS team will turn great research into compelling understanding of consumer behaviors. Garrison brings a long history of exploring, questioning and translating consumer behaviors to Padilla. 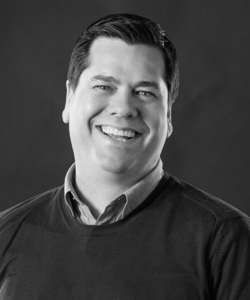 Prior to joining the agency, he served as vice president and lead consumer strategist for Iconoculture, a business management consultancy based in Minneapolis. Garrison also served as senior manager of brand research and consumer insights for Nickelodeon, managing all aspects of primary research projects. Padilla is a top 10 independent public relations and communications company comprised of 240 employee-owners. Padilla builds, grows and protects brands and reputations worldwide by creating purposeful connections with the people who matter most through public relations, advertising, digital and social marketing, investor relations and brand strategy. Padilla includes the brand consultancy of Joe Smith, the food and nutrition experts at FoodMinds and the research authorities at SMS. Clients include 3M, Barnes & Noble College, Bayer, Blue Cross and Blue Shield of Minnesota, Hass Avocado Board, Land O’Lakes, Mayo Clinic, Prosciutto di Parma, Rockwell Automation, U.S. Highbush Blueberry Council, the Virginia Lottery and Welch’s. Padilla is a founding member of The WorldCom Public Relations Group, a partnership of 143 independently owned partner offices in 115 cities on six continents. Make a connection at PadillaCo.com.